Beyonce is a popular and most successful R&B singer and actress who shot to worldwide fame for being the lead singer of the world’s best selling girl-group Destiny’s Child. She successfully embarked on a solo career with her debut album Dangerously in Love (2003), which earned her five Grammy Awards, and and sold over 11 million copies worldwide. The lead singles “Crazy in Love” and “Baby Boy” topped the Billboard Hot 100. With a career spanning more than two decades, she has won 22 Grammy Awards and sold more than 100 million records worldwide, thus making her one of the best selling music artists of all time. She has also starred in films such as The Pink Panther, Dreamgirls, Obsessed and Epic. Beyoncé was born on 4 September 1981, in Houston, Texas, U.S. Her ancestry is African-American, Native American, African, French, Spanish and Irish. Beyoncé attended St. Mary’s Montessori School in Houston, where she enrolled in dance classes. Then, she attended Alief Elsik High School in Texas. In 1990, she got admission at Parker Elementary School, a music magnet school in Houston,and also attended the High School for the Performing and Visual Arts. Beyoncé married American rapper, Shawn Corey Carter (Jay-Z) on April 4, 2008 after dating fro around six years. They have children, daughter Blue Ivy Carter (born January 7, 2012), and twins, daughter Rumi Carter (born June 13, 2017) and son Sir Carter (born June 13, 2017). Beyonce released her debut album, Dangerously in Love was released on June 24, 2003. The album topped the Billboard 200 and has sold 11 million copies worldwide.The album’s lead singles “Crazy in Love” and “Baby Boy” reached number one while singles, “Me, Myself and I” and “Naughty Girl”, both reached the top-five. She won a total of five awards in different categories at the 46th Annual Grammy Awards. Beyonce made her onscreen debut with the 2001 musical film Carmen: A Hip Hopera playing Carmen Brown. Her first appearance on TV came in 1997 with the show MuchOnDemand in which she has featured as herself. Her record breaking albums Dangerously in Love (2003), B’Day (2006), I Am… Sasha Fierce (2008), and 4 (2011). Beyonce has appeared in a number of television commercials for brands such as Tommy Hilfiger’s True Star fragrance, McDonald’s, Wal-Mart, Samsung Phones, Emporio Armani Diamonds perfume, Studio Line hair products, L’Oreal Paris beauty products, H&M and many others. Beyonce has an estimated net worth of $450 million as of 2017. She has been named as the world’s highest paid musician of all time by Forbes and other magazines. She and her husband Jay-Z are the world’s first billion dollar couple in the music industry with their combined net worth is over a staggering $1.2 billion. Billboard named her as the highest paid musician of 2016, with an estimated total of $62.1 million. The couple has made it to the Celebrity 100 list on many occasions. They posses several wealthy properties, including a luxurious $43 million villa in New York, $40 million mansion in Malibu, and a house in London. She owns a Mercedes-Benz SLR McLaren and a Rolls Royce silver Cloud II among other exotic cars. 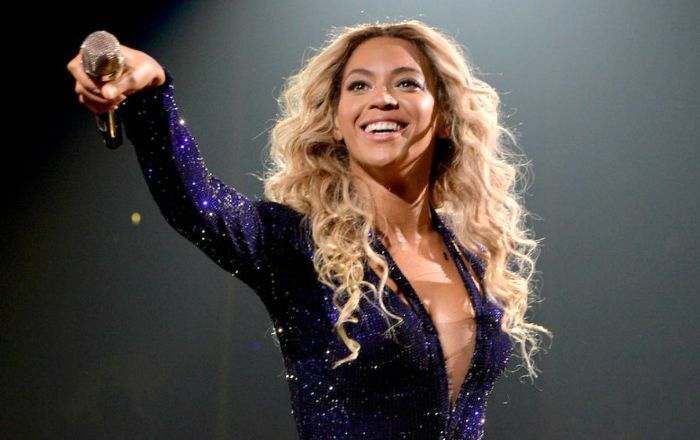 Beyonce is one of the most followed celebrities on social media. She has more than 60 million followers on Facebook, 15 million on Twitter and 113 million on Instagram. Her singing talent was discovered when dance instructor Darlette Johnson while her passion for music and performing soared after winning a school talent show at age seven. She used to be a lead vocalist of the girl-group Destiny’s Child. The group has delivered sveral chart-busting singles and albums, making them one of the best selling group of all time. Her solo career began with the launch of her album Dangerously in Love in 2003. She has since released six studio albums, four live albums, three compilation albums, five EPs, one soundtrack album, one mixtape, two karaoke albums, and 62 singles. She has sold 100 million records as a solo artist making her one of the best-selling music artists of all time. In September 2010, Beyoncé made her runway modelling debut at Tom Ford’s Spring/Summer 2011 fashion show. In 2012, People named her as the “World’s Most Beautiful Woman” and the “Hottest Female Singer of All Time” by Complex. Several wax figures of Beyoncé are found at Madame Tussauds Wax Museums in major cities around the world, including New York, Washington, D.C., Amsterdam, Bangkok, Hollywood and Sydney. She was featured on the cover of the Sports Illustrated Swimsuit Issue in 2007 and also graced the covers of almost all popular magazines worldwide. In February 2017, Beyoncé spoke out against the withdrawal of protections for transgender students in public schools by Donald Trump’s Presidential administration. Beyonce is the most awarded artist at the MTV Video Music Awards, with 24 wins. In December 2016, Beyoncé was named the Most Charitable Celebrity of the year. Forbes ranked her as the most powerful female in entertainment on their 2015 and 2017 lists. Over the years, Beyonce has launched several limited editions clothing line in favour of her name as well as her daughter’s name by collaborating with popular fashion merchandises in America.